Ralph had an enjoyable weekend with 2 festival appearances in 2 days.Friday saw Ralph appearing at the St Georges Arts Festival in Beckenham. The following day Ralph made the journey west for his first Glastonbury appearance. 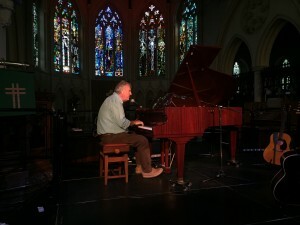 Ralph played his song England, live, for the BBC 2 coverage and this can be seen by clicking on the picture below. 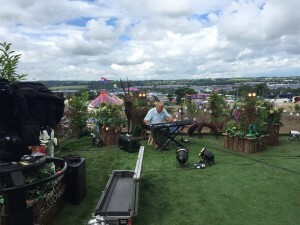 A review of Ralph’s Glastonbury performance can be found here.